Scarlet Hill offers instruction and training, both on and off horse, as well as ground-training and handling for horses and their owners. We primarily teach private or semi-private lessons. We occasionally offer group lessons for cross country and stadium jumping. We host regular clinics, shows, and events. Weekly lessons and/or training sessions are required by all boarders. Ship-in students are welcomed and short-stay programs are available for intensive training. 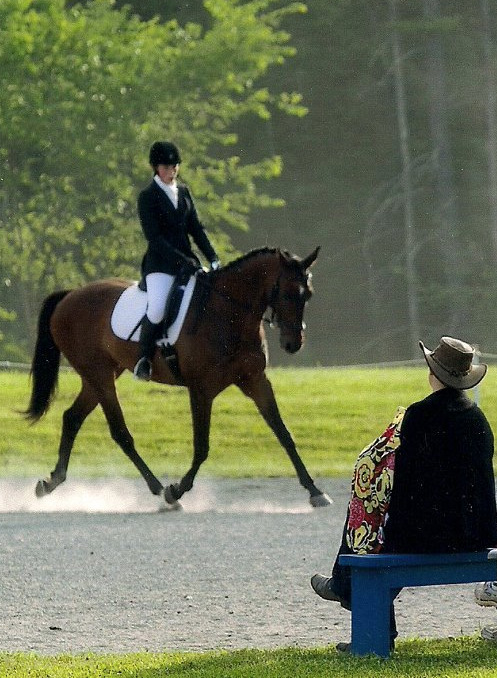 We also travel to many Area 1 events and schooling shows. Coaching is available upon request. Boarding: Scarlet Hill offers full board to our students when space is available.